We've had beautiful weather this week. 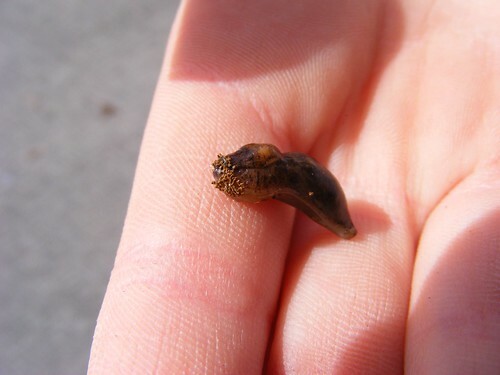 While enjoying the warmth, Caleb found a slug (I think). I got some macro shots. Visit Slurping Life for more SOOC (straight out of the camera) shots.